Home > Dry Ice Blasting > Why Continental Carbonic? Your Single Source for All Your Dry Ice Blasting Needs! With an extensive line of dry ice blasting machines, 44 dry ice distribution facilities across the United States and Ontario, Canada, unmatched dry ice blasting experience, Continental Carbonic is uniquely positioned as your single source for all of your dry ice blasting needs. Continental Carbonic's professional sales team has over 75 years of combined dry ice blasting experience, ensuring that we can match the right blasting equipment and dry ice to your cleaning needs. Continental Carbonic's factory certified technicians can service and repair all major brands of dry ice blasting machines and after cooler dryers. 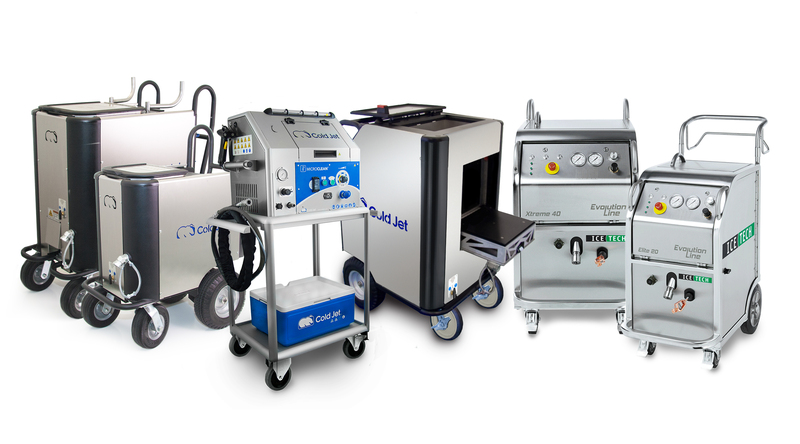 Continental Carbonic offers dry ice blasting equipment from the worldwide leaders in dry ice blasting equipment innovation and manufacturing: Cold Jet, IceTech and Phoenix. We sell, lease, and offer daily, weekly, and monthly rentals of new and used blasting machines. The Cold Jet, IceTech and Phoenix blasting machines use less dry ice than other blasting equipment. We provide a wide variety of nozzles and other accessories to help optimize your cleaning process. Our factory certified technicians can service and repair all major brands of dry ice blasting machines and after cooler dryers. 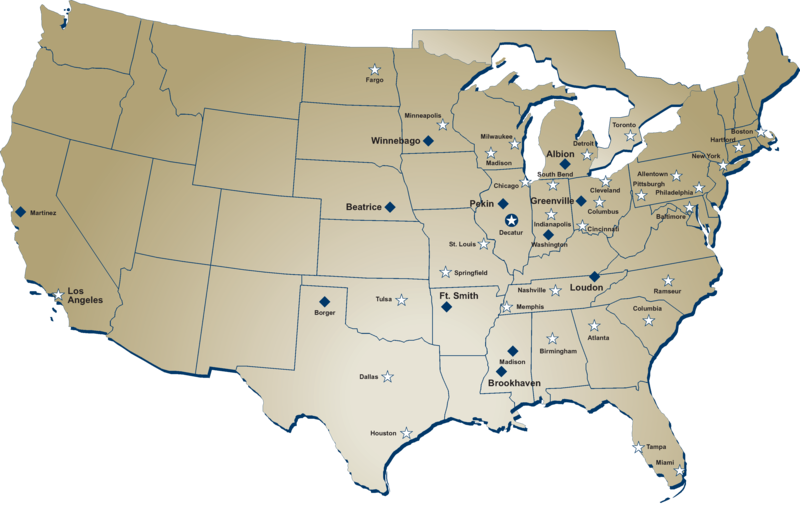 Continental Carbonic produces and distributes blasting dry ice from 46 dry ice manufacturing and distribution facilities. We will use our extensive experience to help you calculate the dry ice needs for your particular dry ice blasting job and develop a delivery schedule that fits your needs so you have exactly the amount of dry ice you need...when you need it. Learn more about the Continental Carbonic Dry Ice Advantage. We provide set-up and training for first-time dry ice blasting customers. When you purchase or rent your dry ice blasting equipment from us, we can train your cleaning crew and set up your new equipment properly for maximum cleaning efficiency. An important part of training is providing safety information and advice so you can run an efficient and safe dry ice blast cleaning operation. 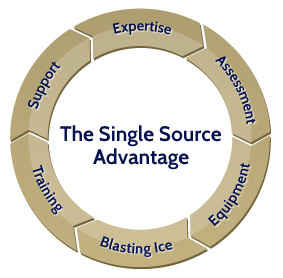 Once you have your equipment, Continental Carbonic will still be actively involved in supplying your blasting dry ice and providing technical support when you need it...it's all part of the Continental Carbonic Single Source Advantage.